By now, I think we all know that Deer & Doe create absolutely beautiful and well-designed patterns. Last spring, I had the pleasure of sewing up this beautiful Nenuphar Kimono in collaboration with their spring pattern releases, and this year I was so honored to be asked to participate again! 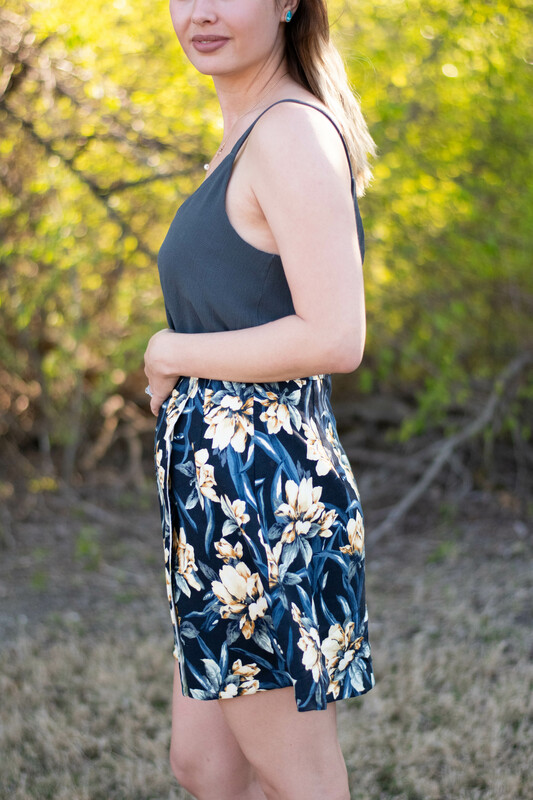 This time around, I had the opportunity to sew up the Agave Skirt. 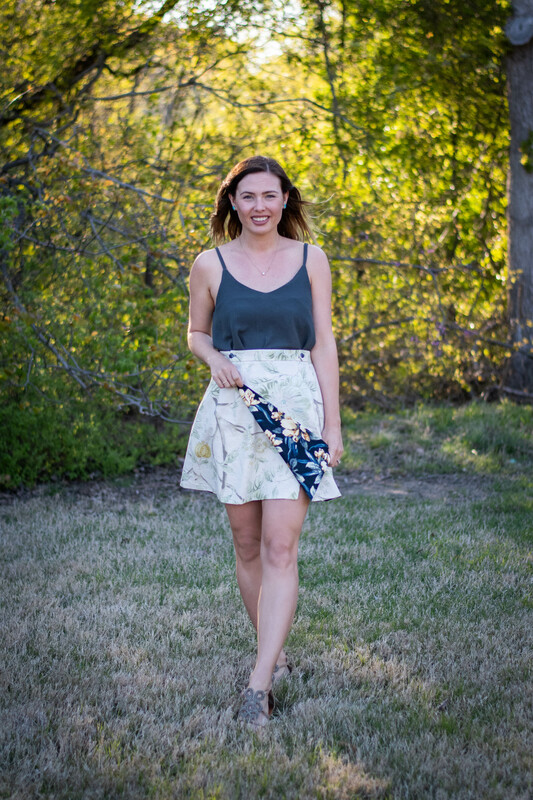 This pattern is really interesting – it is a woven wrap skirt that can be finished with a facing, or made to be reversible. 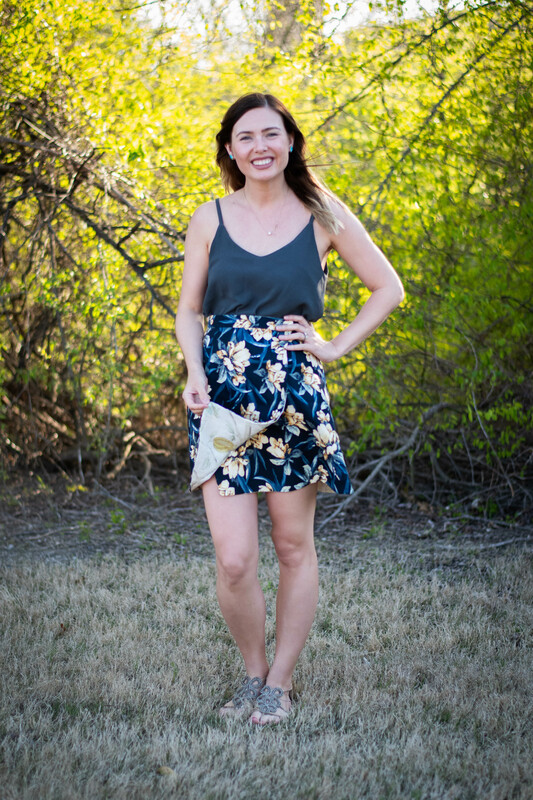 The main pattern feature is an asymmetrical hem line… Which you may notice that my skirt does not have. This lack of the absolute main design feature was not my intention when I began working on this skirt. On to the cutting… Step 1 for this version involves cutting the fabric from one side of the main skirt front panels to create the asymmetrical look, and the illustration and instructions clearly show that you should be cutting opposite sides of the “main” and “lining” fabrics (main and lining, in this case, meaning the outer and inner or just simply opposite side main fabrics). However, my brain just wasn’t there for all the instructions that night, and I cut the excess off of the left side of BOTH fabrics when facing up. So, of course, when I placed these right sides together to begin the construction process, I ended up with one short piece and one long piece paired together on either side. I was SO sad, and I didn’t have enough fabric left to cut an extra piece from either. 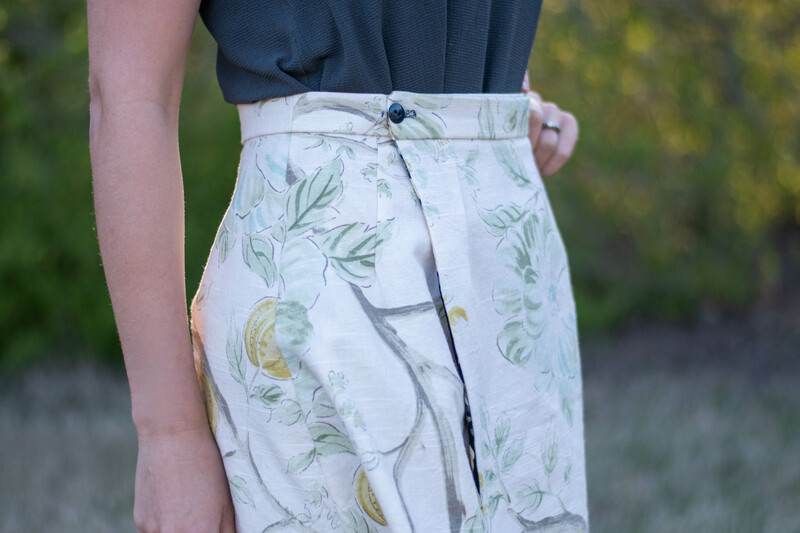 I thought about throwing in the towel with one of the fabrics here and simply starting over with a different fabric for one side, but I didn’t want to waste the fabric… Plus, I really liked this pairing together and knew I’d get wear out of both! So, instead I cut the additional two pieces to match the shorter length, and I’ve decided to be the example of how this skirt looks if you DON’T do the asymmetrical thing. Maybe someone out there will be wondering, or will love the look of the skirt but not be a fan of the asymmetrical hem. So if that’s you, then I’m your girl. Here’s that version. I actually love this skirt. Even though I was sad about omitting the focal feature of the pattern, I’m still coming away with a really cool reversible skirt that I love. I love the buttons at the waistband, and I originally planned to do the navy buttons for both sides, but after placing them on I decided to change it up and use both the wooden buttons and navy buttons. I’m glad I did – the navy buttons would’ve gotten lost on the navy background, and the cute little feature would’ve been unnoticeable! 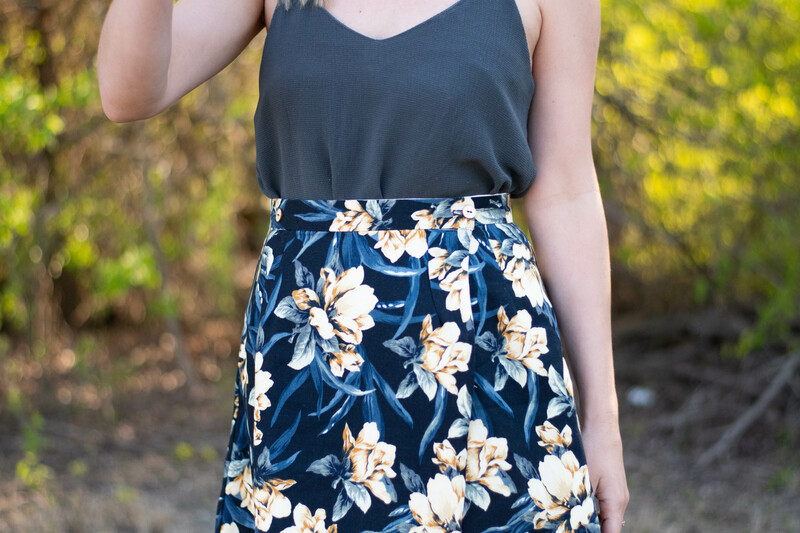 My favorite thing about this skirt is that it is reversible. 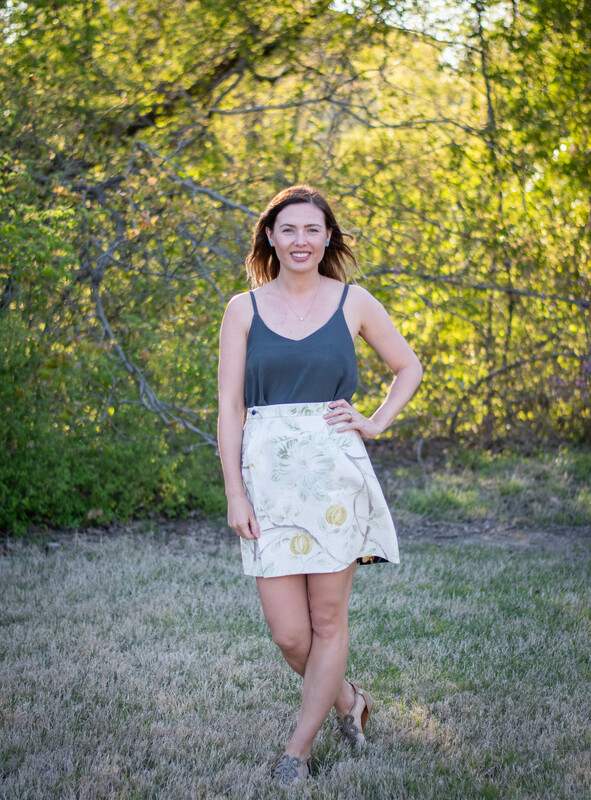 It was a fairly quick sew, it is super functional for summer, I got to DOUBLE stash bust, and I ended up with TWO skirts in one! This is what my sewing dreams are made of! I’ve been looking through my fabric stash and trying to think what else I might be able to use to make another one of these… This time WITH the asymmetrical hem.